Good evening! I hope you’re doing well. I had a weird weekend. I somehow injured my foot in my sleep, as you do. I was seriously hobbled all weekend (it’s better but not completely). Plus I had two sick kids and t-ball practice, and my dog killed a baby bunny in the back yard, so… meh. Weird weekend. I guess you can say I was glad to see Monday. At co-op today I got two new students in my knitting class — an extra kid, plus a mom who wants to learn to knit. We had a lot of fun in class and were shocked when the bell rang to end class. Time flies. 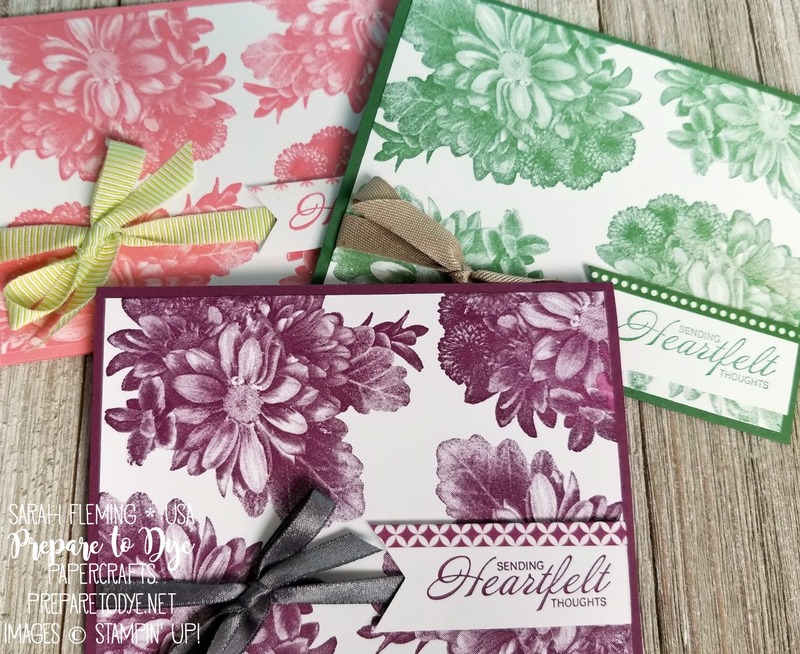 For today’s post, I made a trio of cards using the Heartfelt Blooms stamp set, some ribbon, and some washi tape. 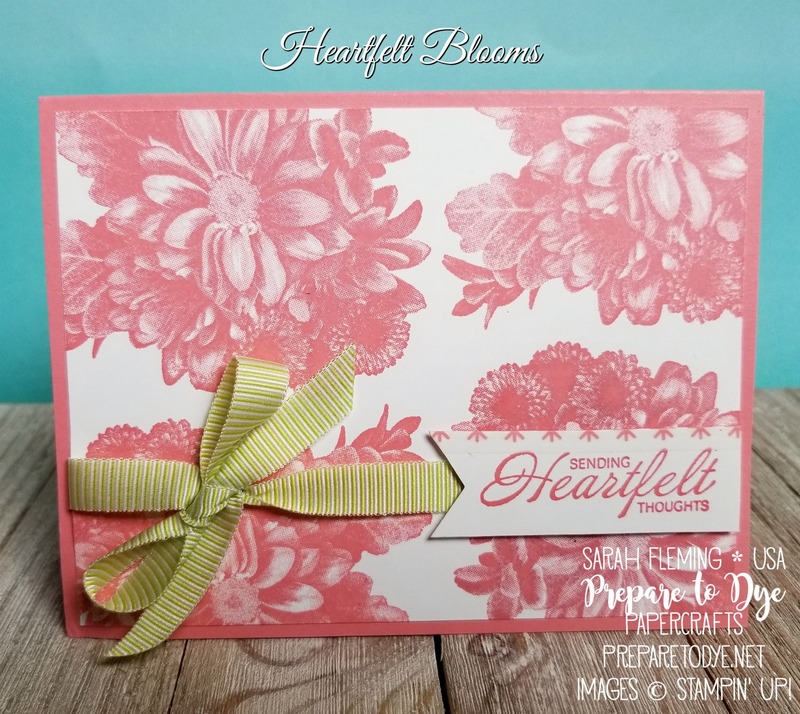 Heartfelt Blooms is one of the Sale-A-Bration stamp sets. 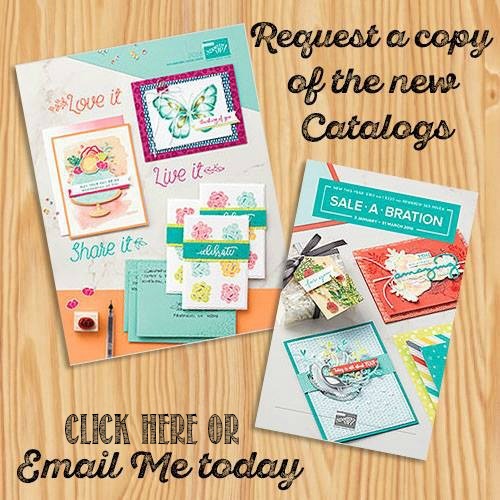 You can only get these stamps for FREE with a $50 purchase — you can’t buy them. 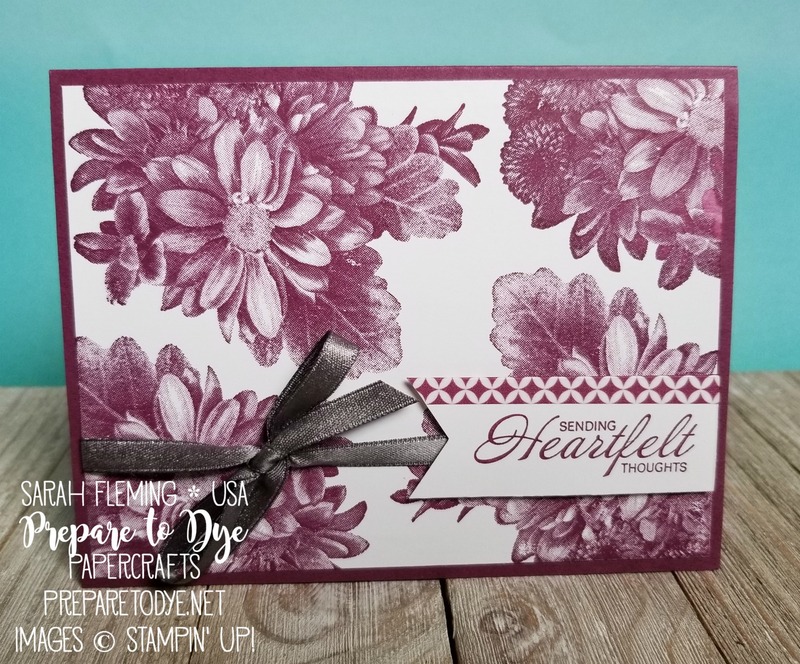 This flower stamp is the first of a new type of stamp patented by Stampin’ Up! The details are amazing. The main colors I used were Flirty Flamingo, Garden Green (gasp! ), and Rich Razzleberry. I used the same layout and design for each card and simply changed up the ribbon and the washi tape. For the Flirty Flamingo card, I used the Lemon-Lime Twist 3/8″ Mini Striped Ribbon and Basics Pack 1 washi tape. For the Garden Green card, I used Crumb Cake 3/8″ Classic Weave Ribbon. This ribbon is so lovely and feels so nice. The Rich Razzleberry card is my favorite. I think I have exactly the right amount of ink on my Rich Razzleberry ink pad to make the flowers burst off the card. 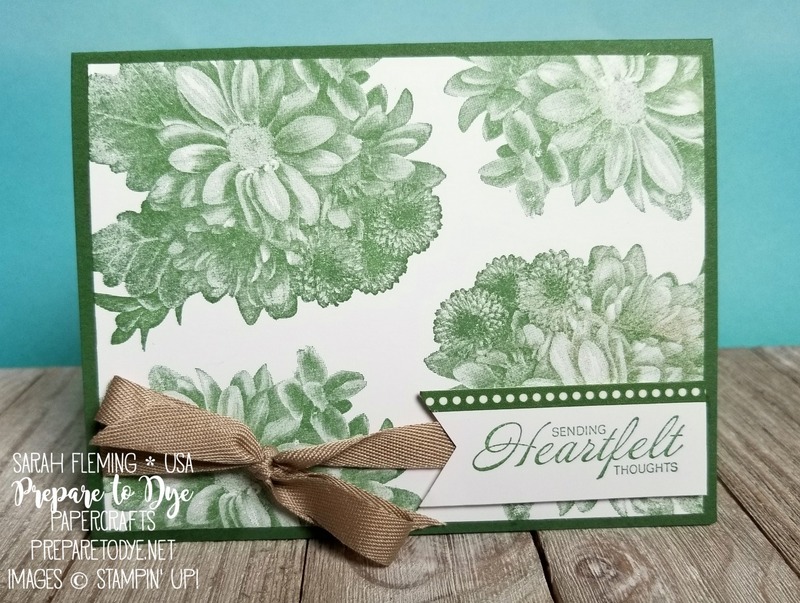 I used Basics Pack 1 washi tape on this one, plus the FREE Sale-A-Bration Shimmer Ribbon pack (free with $50 purchase). The ribbon comes in three different widths and three different colors – Calypso Coral, Basic Gray, and Bermuda Bay. It’s delicious.